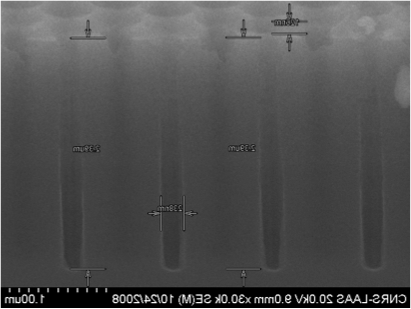 Six high density plasma etching devices (RIE-ICP) in order to process 4-inch wafers. 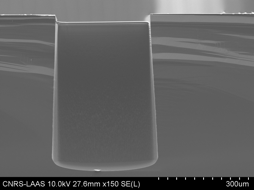 Two devices for removing organic polymer (resist) and surface treatment (fictionalization). 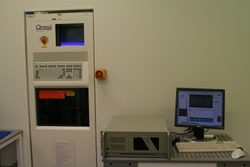 Every RIE-ICP devices have two RF generators (13.56MHz) allowing to control plasma density (RF source) and radicals energy (RF platen). 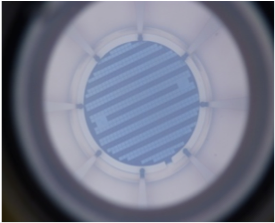 The process pressure is controlled during process by a butterfly valve and turbomolecular pumping. 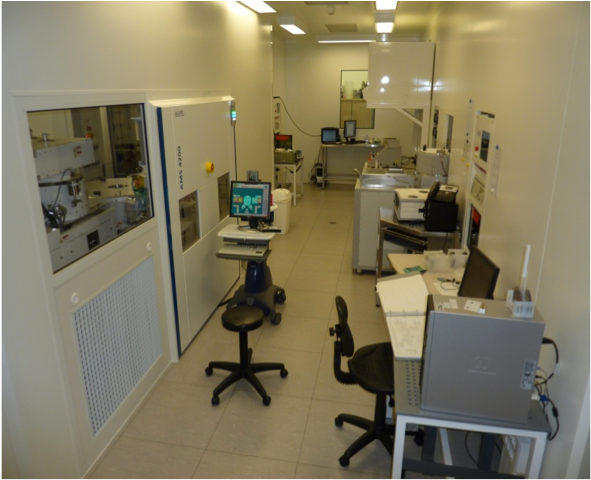 RIE-ICP allows to investigate a lot of physic-chemical etching process (ICP and CCP mode). 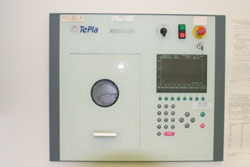 The STS (multiplex) equipment allows the silicon deep etching by Bosch process. 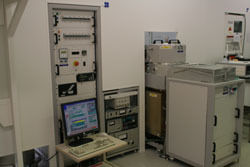 The 3 Aviza Technology machines (Omega 201) allow to process batches of 25 wafers (6-inch). 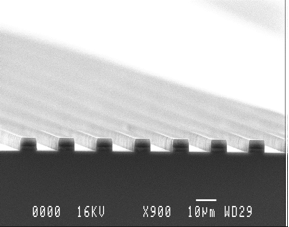 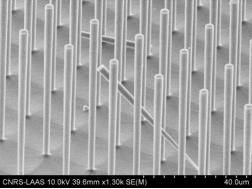 Materials etched are silicon (oxide, nitride…), III-V materials and materials used for micro and nanotechnology. 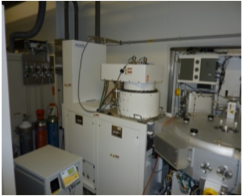 The Alcatel (AMS4200) equipment contains 2 reactors, one for the deep etching silicon by tri-pulsed process, and the other for dielectric materials (etching like glass, fused silica, quartz) by continuous etching process. 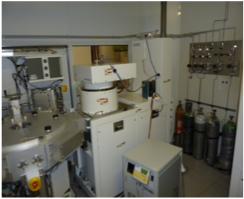 The Diener (nano) equipment allows the oxygen treatment of materials used for MOS technology. 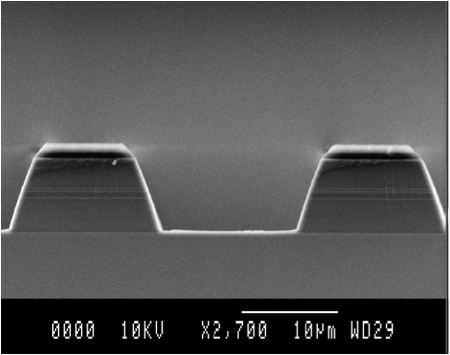 OES: Optical Emission Spectroscopy. 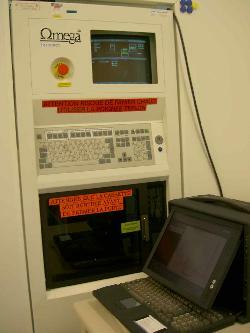 This system multi wavelength can control the reactor cleanliness. 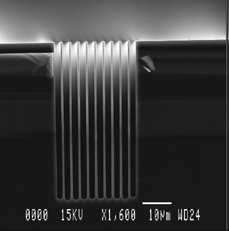 Probe Zscan: Impedance detection of etching plasma allows etching monitoring and control the reactor cleanliness. 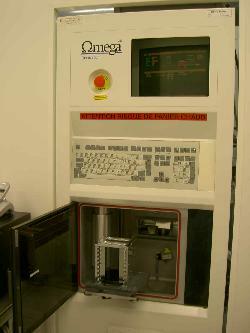 LEPD and OES detections systems can be installed on all etching equipments.